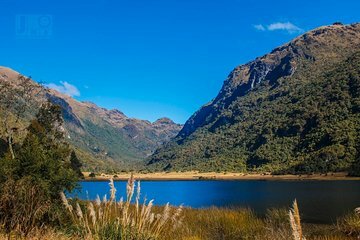 Breng de dag door met een rondleiding van Cuenca naar Cajas National Park. Geniet van een opwindende wandeling door deze bestemming met meer dan 250 meren en veel inheemse planten en dieren. Dit unieke outdoor-avontuur is perfect voor alle wandelniveaus en is een onvergetelijke ervaring! Vertrek vanuit Cuenca en ga met je gids naar het adembenemende landschap van Cajas National Park. Luister terwijl je wordt geïnformeerd over de trek van de dag terwijl je door het landschap rolt. De 4-uur durende tour omvat 3 uur wandelen met een winst van maximaal 3800 meter. Het hoogseizoen loopt van augustus tot januari, maar natuurliefhebbers kunnen het hele jaar door genieten van een trektocht door het Cajas National Park. Tours werken in regen, hagel, sneeuw en ja-zelfs zonneschijn. Uw veiligheid is verzekerd, aangezien de eerste hulpgoederen aan boord zijn en parkwachters altijd binnen handbereik zijn. Wilson was a fabulous guide. Well worth it, he is extremely knowledgeable of the flora fauna birds and geology of the area. The weather was ideal for hiking and I would have missed a lot of things without his expert guidance. You MUST do this hikw while in Ecuador! Our guide Wilson was just fantastic and very knowledgable. He knew all the plant, their Latin names, their Spanish names, their Quechuan names and often a little story of how the plant is used in different cultures. He is a true naturalist! He was also very keen at finding and identifying birds for us. The hike itself was easy and beautiful! After the hike were went for a very nice lunch, included in the price. We are still looking at our pictures and thrilled to have spent such a wonderful day exploring Ecuador's beautiful park. Worth every penny! I wish I could give this tour more than 2 stars, but I can't. 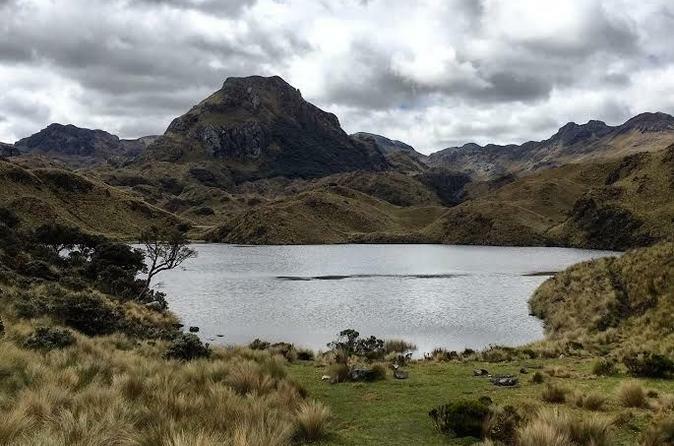 Cajas Park is absolutely beautiful and stunning. Parts of the park look like the mountains of Switzerland, and other parts remind me of Iceland. The terrain is stunning. The reason I am rating this tour so low is because of the tour guide and because of my experience. I can't remember the tour guides name, but he was not friendly at all. He rushed the group through the hike, making it difficult to stop and take in the beauty or even to take pictures. He remained at the front of the group the entire time, never once checking in on anyone. My husband and I love to hike in the Bay Area... It's not like we have never done it before... So, if you are not an experienced hiker, I do not recommend this tour. If you tend to second guess your abilities on this type of outing, do not do this tour either. You start at 13,000 feet and make it down to 10,000 feet, but this hike is by no means all downhill. Much of the way the guide took us was uphill and treacherous. Great experience and fun, passionate guide. Bundle up because it's COLD! Lunch left a lot to be desired and it is in the late afternoon, so eat a big breakfast. Great tour Gide and van driver. Two hikes with fantastic views. Lunch was filling. This tour was great. I really liked the guide and the place was interesting. It was a cloudy day, buit other than that everything was fine.